Poles rolled all around the arena, with the world’s best tested time and time again by Italian course designer Vezzani's skill. Riders needed foot-perfect precision in the treble, with many caught out by the striding in and out of the gappy light purple fences. The last fence caused a few heartbreaks, catching out the likes of Bertram Allen (IRL) with Izzy By Picobello and Sheikh Ali Bin Khalid Al Thani (QAT) with Sirocco - both agonisingly close to a spot in the jump-off. Anna Kellnerova (CZE) and Silverstone G pulled out all the stops in the tight sand arena, her trainer Jessica Kürten riding every stride from the ‘kiss and cry’, cheering in delight as the young star finished on a zero score. She was quickly joined by LGCT Champion and World Number 1 Harrie Smolders (NED) who looked effortlessly quick on Zinius - the top ranked horse in the world. Scott Brash (GBR) brought out the 9 year old gelding Hello Jefferson, riding a beautiful round with the young horse to deliver a clear. He would be joined by Lorenzo de Luca (ITA) with De Flipper, Simon Delestre (FRA) with Chesall Zimequest, Alberto Zorzi (ITA) with Ulane de Coquerie, Darragh Kenny (IRL) with Babalou 41, Jérôme Guery (BEL) with Celvin. Another showcase of top riding saw Marlon Zanotelli (BRA) manage Icarus to make it a 10 rider showdown, the quick Brazilian last to go in the high-powered jump-off. Final rider to go Marlon Zanotelli (BRA) took an inspired turn back to the GC plank, but the pressure from de Luca’s time was too much - forcing an error as a pole fell. So the speedy Lorenzo de Luca (ITA) would claim the Julius Bär Prix with De Flipper, the pair taking the spotlight as they were presented the trophy from Rémy Bersier. 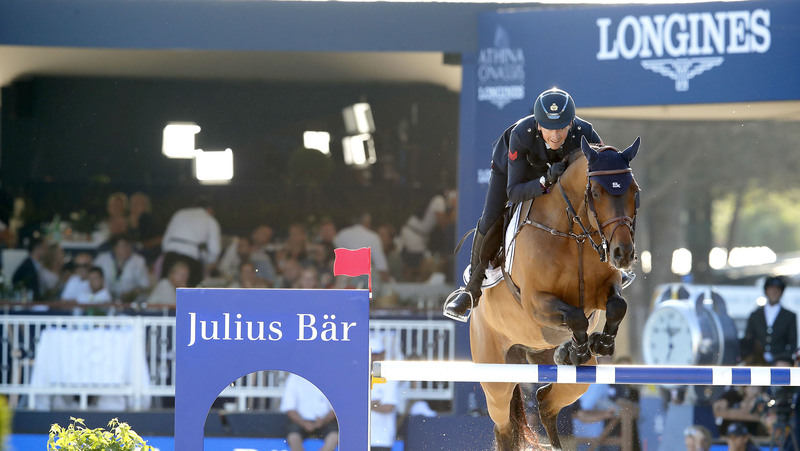 Tomorrow will see the GCL St Tropez final which kicks off at 14:00 local time, and the Longines Global Champions Tour Grand Prix of Saint Tropez, Ramatuelle which takes place at 17:30. All the action will be streamed live via GC TV, with expert commentary, analysis and exclusive guest interviews.